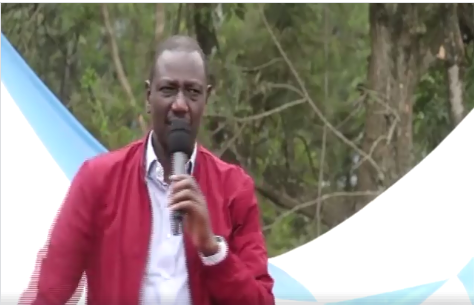 Home / Entertainment News / I warned you against RAILA, RUTO tells WETANGULA and reveals he has joined his Tanga Tanga movement(VIDEO). I warned you against RAILA, RUTO tells WETANGULA and reveals he has joined his Tanga Tanga movement(VIDEO). Saturday, October 13, 2018-Deputy President, William Ruto, has revealed that he warned Bungoma Senator, Moses Wetangula, to be-careful with Raila Odinga but he didn’t take his words seriously. Ruto claims that as a victim of Raila’s political con-manship, he warned Wetangula to be very careful when he decided to join him in NASA. But things turned ugly after Raila duped his partners in NASA, Wetangula included, and negotiated for handshake deal with Uhuru without involving them. Listen to Ruto spit fire.